Wednesday was a tough night. I arrived home five minutes before kick off to discover ptp, my usual feed, unavailable and spent until half time fiddling around trying to get pictures over just sound interspersed with updates from BBC and others tweets. Unfortunately I managed to witness the second half. It wasn’t pretty despite having opportunities to force Tim Howard into making two excellent saves and Crouch putting a fierce shot over the bar after a fabulous run. I taped the sky 50 minute highlights and wished that’s all I saw. That game looked well matched with Everton just about shading it. I can’t speak for the first half but I thought we were second best by a fair distance in the second from seeing all of the action but not according to Sky. We passed poorly and conceded possession cheaply all half and some of our players had bad nights. When Gomes dealt badly with a pass back early in the half it did nothing to lighten my mood so I was pleased when he managed to hold onto the ball when Coleman was through and became undecided on a shot or cross. Coleman is rapidly showing us all what a good player he is. Other work colleagues have commented upon his ability when their respective clubs have come up against him. He put Ekotto to the sword during the second half leaving him for dead for pace and also exposing him out of possession on a couple of occasions. Benny had a bad night of that there is little doubt but Alan Hansen’s mauling of him was totally contradictory of David Moyes assessment “one of the best left backs in the league.” Whilst that might be a little exaggerated Hansen tore into him suggesting him to be awful and the weak link in the Spurs side. That’s unfair. Benny has been one of best players in a number of games this season and whilst he can scare you with the confidence he has to take on the last man he has certainly not been a consistent liability. If opponents are to attack our defence it will be our full backs that they target because of the quality of the centre backs but most weeks he has dealt with his job very well. Benny was not the only player to suffer a bad night. I did not think JJ looked too impressive in what I saw and when Bale had to be withdrawn Kranjcar produced a third awful display. This time he was on his favoured left side and not out right where Harry has recently revealed “he hates playing” so it should have been set up for him. Apart from one cleanly hit volley which cannoned off a defender I saw nothing to convince me that he deserves a run in the team. Hopefully 90 minutes against Charlton will perk him up. So having gone down to a Saha shot in 3 minutes we were able to claw our way back into the game when Peter Crouch provided an assist to allow Van Der Vaart to head through Howard as he fell backwards. We should have gone in ahead at the break after Saha gave up the ball to Bale and he broke through and placed the ball exactly where Crouch ordered for him to put it away. Unfortunately he had drifted into an offside position so the goal was chalked off. In the second half having struggled to hold Everton Van Der Vaart generated two chances, the first a guided shot from the edge of the box which Howard turned away with a full length dive and the second an instant snapshot from Modric’s cut back which Howard stood up to. In between Hutton deflected a sharp strike from Saha out for a corner and Dawson was able to block a Yakubu shot that would have put the game to bed. The second Everton goal saw Saha pushed across the box but he got the ball onto his stronger left foot and sent a rasping shot that Gomes was only able to parry. Coleman following in headed home a deserved goal for a very good performance. So the run is over. The good Everton turned up and we were overcome. To be fair it had been coming and too many of the team ran out of steam after the previous three wins. Should we have played like Manchester City in an effort to secure a point? I don’t think so as it is not our style but the way we conceded the ball in the second half that I saw was unacceptable if we are to mount a real challenge on the title. It wasn’t all bad. Van Der Vaart did have another good performance and Modric was busy. Our biggest concern is that our next Premier League match is at home to the unbeaten Manchester United and the guile of Mr Ferguson. We need a win for Chelsea cannot continue like this for much longer and their loss gave us the chance we take advantage. Had Crouch’s goal been as it should then maybe we would have won. He didn’t, we didn’t and we have to get back to winning ways once more in this year that finishes in 1. We’re building up a decent side in the treatment room at present but at least we now know that Ledley and Billy G were not being rested on Saturday. Groin injuries and in the same training session; Billy with the last kick of the day. How unlucky is that? Nevertheless we are left with bare bones at centre back so Corluka and Bassong are forced to continue. Unlike some of you I thought they were ok and only conceded 1 goal on Saturday but I do agree that Gareth Bale was far more restricted at left back. A lot of twitter chat on Sunday suggested Walker should have been given his chance but a month’s loan at QPR put paid to that. As he is not selected for our Champions League squad that argument disappears for the FC Twente game so it’s a straight choice between Bale and Ekotto for the left back birth. It all depends upon the latter’s fitness. If he is fit – and I thought I saw him jogging on Sky Sports News earlier – then Bale can be unleashed, if not Gareth stays in the back line. If Benoit is unfit quite how this impacts upon our attack remains to be seen but it is a home game and we may be able to utilise Bales skills adequately. I see Hutton continuing at right back and that provides an opportunity for Harry to decide if Lennon plays or sits on the bench. With the exception of one mazy run at West Ham that opened them up completely he was very quiet and he needs to consider how he can provide a greater impact. If he sits out and Ekotto is unfit it maybe provides a birth for Palacios allowing Jenas to go outside right but if he does JJ must remember that tackling is not optional when opportunities dictate. 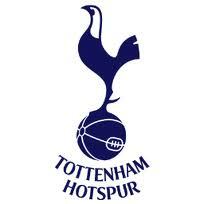 A fit Ekotto will see Jenas continue with Palacios in the wings. Huddlestone too is under scrutiny to improve but if selected can sit deeper to provide Modric and Van Der Vaart with a platform to work the Twente defence. With Bale alongside them it could be some workout and with our makeshift defence we might have to go all out attack to ensure the win. Despite being the invisible man on Saturday I expect Crouch to start up front and I hope we bring him into the game. Crouchy gives us more instant options upfront and can assist our centre backs in defensive set pieces. Result: if we kick on and put them on the rack I go 3-1. Spurs Vs Manchester City Review – Blue Moon? No Pure Heaven! 3 Nil looks an easy win and it was a fine performance but at 80 minutes with City giving it a bit of a go 2 nil did not look so comfortable with our record for clean sheets! And had City been awarded a penalty – that we couldn’t see in Block 53 – or Adebayor take the clear cut chance the fell his way it could have been really nervy. They didn’t and instead we capitalised from a short Lennon corner that allowed Kranjcar a skipping run into the box before beating Shay Given on his near post to crystallise a fabulous victory. The first 20 minutes were the most testing. City mirrored United’s tactic of dropping their front men deep in an effort to unsettle our marking and outmanoeuvre the midfield. Tevez looked most impressive of the three City starters but once Lennon got going and at Sylvinho we got ourselves into the game and after Kranjcar’s opener we got our confidence and took the game to City. When Defoe pounced on a Crouch header early in the second half we should have felt nearly home and dry but Everton came back to mind and Man City are no slouches. Barry looked good, De Jong reasonably effective until a yellow card tamed him and Ireland simmered but our boys were as good if not better. Palacios ended up putting in his best shift since I don’t know when, Tommy was effective in getting the ball into space Lennon and Kranjcar at times unplayable, ably supported by Assou-Ekotto, Dawson and even Defoe who ran the line really effectively. Peter Crouch took some stick from many Paxton Roaders yet conspired to set up two goals and made a number of important clearances from corners. Sometimes it’s better to watch on SKY. If you do you only see the ball and don’t hear some of the nonsense. Granted Crouchy did waste possession by blasting the ball wildly into the Paxton Road End rather than get the ball under control but his view was that it wasted valuable time when we were two up and 80 odd minutes played. Our view was that it could have been a goal scoring chance and opportunity to kill the game dead because we’ve been here before. Losing tempers was maybe an extreme reaction but it does show that we want to see beautiful play throughout. We still gave the ball away a bit naively in the first half but once the game opened up with us leading two nil our confidence rose and we played some really good stuff against a strong opponent. Down the left the link up play was excellent. Benoit, verbally abused on Saturday got a standing ovation from the area from where his abuser appeared when he was led away injured at the end. Lennon too showed how difficult he is to play when the opportunity to play presents itself. Dawson was a lion at the back and must surely push himself into either Upson or Lescott’s England squad place. This presents an excellent problem for Harry. Where do I put Modric? It has to be in the middle and in Tommy’s place in my opinion but that may not be his view. The weekend game at Blackburn is now crucial to keep our challenge on track having done far better than I had hoped for in my preview. I’m delighted with this win. 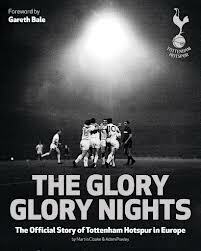 Overall we deserved it and a clean sheet was the icing on the cake for a memorable night. 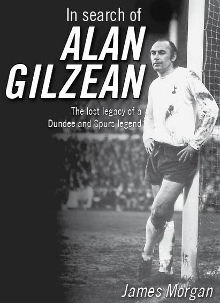 The programme even had a write up on Alan Gilzean and Steve Archibald – I wonder where that news came from?